Indra and I met while we were taking Special Effects Makeup classes. At that time Josh and Indra were thinking about expanding their family. I was so excited when she called and said that they were expecting a baby girl and they would like to book a pregnancy shoot. First time parents are always a pleasure. The excitement in their eyes is irreplicable. The shoot was inspired by free-spirit summer hippie vibes. Enjoy some highlights below. 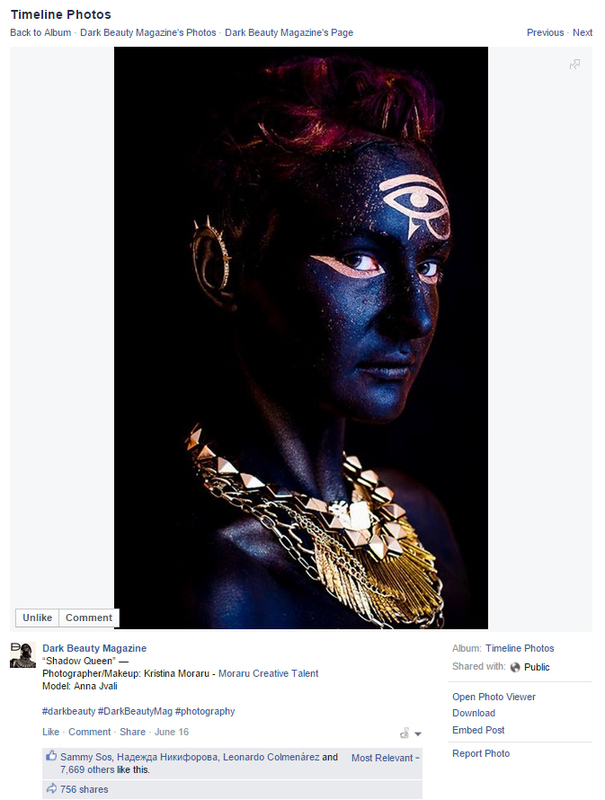 I am happy to share that my picture “Shadow Queen” was recently featured in Dark Beauty Magazine. I am happy to share that my picture “Shadow Queen” was recently featured in Dark Beauty Magazine. I have been following their social media feeds for the last year and I love all the creativity that is show cased by them. Thank you to everyone that liked, shared and commented on this piece. I am always happy to hear from you and know that my work has brought a little bit of magic to your day. Shot some bridal beauty looks with Kitty Chen recently. I think she will make a gorgeous bride.